I come at this time, as I have come more frequently to be with this group, to be a messenger to all of you that yes, indeed, we are coming closer and closer to not only in frequency to your planet, but in understanding, in knowing of who we are in relation to who you are. For we are your greater family, all of us, and you are moving back to a remembering, not only of who you are, but of who we are, and how we relate to you. And a reunion is coming closer and closer. Many of you believe that yes, this is all wonderful, but will it happen in our lifetimes. We can tell you not only will it happen in your lifetimes, but it will happen in your very near lifetime, or your very near future. I am not going to use the term “soon. ” But you understand that relatively speaking, you are very close indeed to many shifts and changes to happen here on the planet. Even in this month that you find yourselves now, this December, the end of the year. But is the end of something, or is it the beginning of something else? That is what you need to look at now. For you are on the threshold of a great new beginning that is just NOW in front of you. Reach out and grab that beginning, because it is closer to you at this moment than you can possibly know. And as I, as well as many others are going to be with you at this next Advance, we are going to be there to assist you in preparing for not only the changes that are happening within yourselves, but the changes that are happening outside of yourselves as a relation to what is going on within all of you. 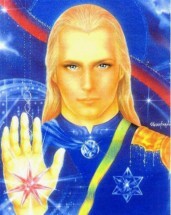 I am Ashtar, and I will release this channel now to The One Who Serves. This entry was posted in Uncategorized and tagged Ashtar, assist you with changes, James McConnell, love, messenger of close reunion, threshold of a great new beginning. Bookmark the permalink.